As I said last week, I watched Friends from start to finish for the first time ever during the last few months of 2018. You can read my overall impressions of the show in Part 1. I planned to write some thoughts on each character this week, but I only got as far as Ross and Joey because I had a flu, so tune in next time for my thoughts on the girls and Chandler! It’s hard to like Ross in the age of internet fanboy misogyny. You guys, I wish I could like Ross. I love brainy, awkward introverts. I love characters who are logic-oriented and also hopeless romantics. I love characters who love the things I love. But I see so much in Ross Geller that led to the misogyny problem we have in modern geek culture. I feel like if Ross had been born 15 years later, he would be a Red Piller bitching online about “ethics in gaming journalism.” I’d like to think I could enjoy the character and his romance with Rachel without this baggage, but I think his insecurities about her career and his disregard for her feelings would turn me off in any decade. As a counterpoint, here’s a positive analysis of Ross’ character by an excellent feminist channel. I highly recommend all their Friends character profiles. To my surprise, I don’t hate Joey. Yeah, he’s a womanizer, but I never got the sense that he was doing anything coercive with his many, many sexual partners. There were some women who wanted more than a one-night stand when he didn’t, but it didn’t seem like he was trying to make them think he wanted more. And he is a good friend to Phoebe, Monica, and Rachel without expecting the friendship to turn into anything more. For the few seasons he’s interested in Rachel, he doesn’t act like he’s entitled to a romantic or sexual relationship or like she’s doing him wrong by not providing one. In fact, now that I think of it, the friendzone scene exemplifies why I’m more okay with Joey than Ross. In the first season, Joey explains the concept of “The Friendzone” to Ross. Joey says that Ross is in Rachel’s friendzone because Ross presented himself to Rachel as a potential friend, not a potential partner, so Rachel responded in kind. She categorizes Ross as a friend because he hasn’t told her he’s in love with her. This is pretty much the opposite of how we use the term today. Joey isn’t commiserating with Ross, or denigrating Rachel for considering Ross her friend when that’s all he’s made any effort to be. He’s blaming Ross for not being honest about what he wants sooner. Which is…true, and if this were still how we used the word “friendzone,” I might actually consider it a useful term. Would I date Joey Tribbiani? Heck no. But this show is about friendship, and between Joey and Ross, Joey is the guy I would rather have in my friend zone. Next up: Best Geller and everyone else who has shared her impossible apartment! I did not watch a single episode of Friends until after it had been off the air for a few years. I want to say it was 2007-ish? I was sick in bed for a long time and got through a few nonconsecutive seasons of reruns. My reaction was mostly, “Oh, ok, I understand this reference now.” I didn’t hate it, but it didn’t have enough of an impact for me to seek out more episodes once daytime basic cable was no longer spoon-feeding them to me. So I did. Here are my random observations on the show as a whole. Character observations coming next week! Young adults in the early 90’s were born in the 60’s. I know, this is stating the obvious. But Friends, a show about growing up, really highlights the effect our childhood has on our adulthood. On a superficial level, this quintessential 90’s show is full of pop culture references from the 60’s and 70’s. On a deeper level, the characters’ issues make a lot of sense when you realize their parents were their age in the era of Leave it to Beaver. The elder Greens and Gellers raised their kids for the lifestyles they themselves had as young adults. The driving plot of the show is Rachel running away from life as a traditional 60’s housewife, and Ross coming to terms with the fact that he’ll never love a woman who wants to be a traditional 60’s housewife. Alongside them we have Monica and Chandler finding a 21st century version of the white picket fence lifestyle, making room for Chandler’s gender-nonconforming personality and Monica’s dominant role in their marriage. Why is everyone on this show tan as heck? Seriously, why? They all live in NYC and have indoor jobs and hobbies. There’s no logical reason for these characters to be darker than the cast of Jane the Virgin. Did people notice this when Friends was current? Was the episode where Ross gets a botched spray tan meant to lampshade this phenomenon? Everything about the cast’s lack of diversity has already been said. But. I can’t help wondering if, in 1993, the showrunners did think they had a diverse show. Over half the ensemble is Jewish or Italian. Depending on the showrunners’ ages, either they grew up seeing those ethnicities as borderline non-white or they were raised by people who did. I remember older relatives on my white and brown sides talking about Italians like they were, I don’t know, brown-adjacent? None of these musings are meant to excuse the show’s lack of diversity, it’s just interesting to reflect on our country’s evolving concept of what does and doesn’t constitute whiteness. The male/female non-romantic relationships are pretty cool. Each woman in the main ensemble has at least one close male friend who isn’t trying to get into her pants. That’s just really nice to watch. They can be alone together, do special little things for each other, go to each other’s family events, comfort each other when they’re hurting, and so on without the guys treating these gestures like sexual punch cards. I cried when Joey offered to stop eating meat during Phoebe’s pregnancy to cancel out the meat his vegetarian friend had to eat for her babies. It was so adorably thoughtful, and it truly was “just” an act of friendship. The finale truly is perfect. I still can’t say Friends is “my show.” There are many shows from many decades that resonate with me more. But I’m glad I watched every episode in order if only to fully understand what a work of art the finale is. Everyone gets their Happily Ever After in a believable, satisfying way. I didn’t even care for Ross and Rachel’s relationship (more on that next week), and I was still a mess of joyful tears when Rachel came back at the end. And that final shot of the empty apartment, ending on six keys side by side? It was emotional enough after binging these characters’ journey over a couple of months. I can only imagine what it must have been like to watch that if the Friends were a part of your life for ten years. Next week: Find out which Friend I related to the most! I totally didn’t mean to take the summer off from blogging. Life got busy, and when I did have time to write, I picked novel-drafting over blogging. But, the comedy gods have summoned me back to my blog with a cheesy TV movie about a cheesy TV show from my childhood. Pictured: Not my old familiar friends. I’ll be doing a “first impressions” style post like the one I did on Jem and the Holograms. 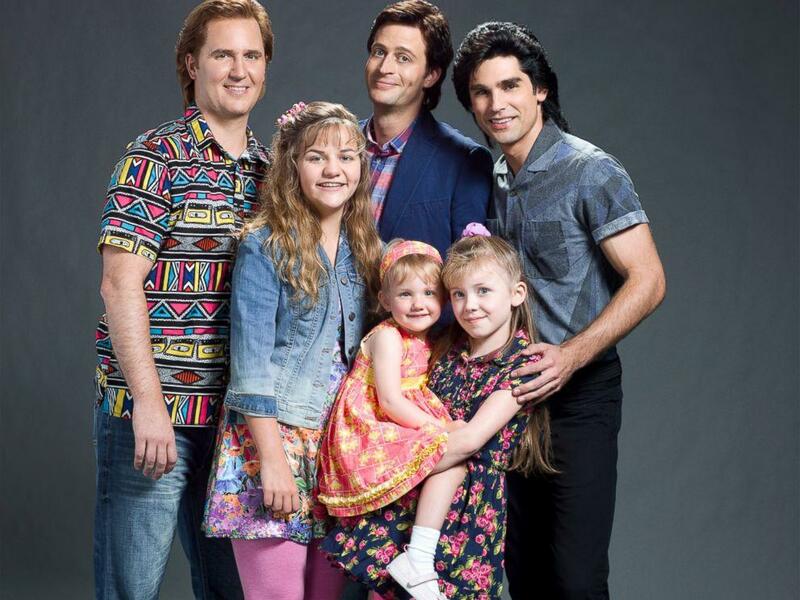 Unlike with Jem, I am quite familiar with Full House. I watched it regularly back when the TGIF lineup was a new thing. I was young enough then (the same age as Stephanie Tanner) to find it legitimately entertaining. Nearly twenty years later, I binge-watched the whole series on TV Land while I was sick in bed. It brought back happy memories and gave me a lot of good laughs (at what my grade-school self had found legitimately entertaining). 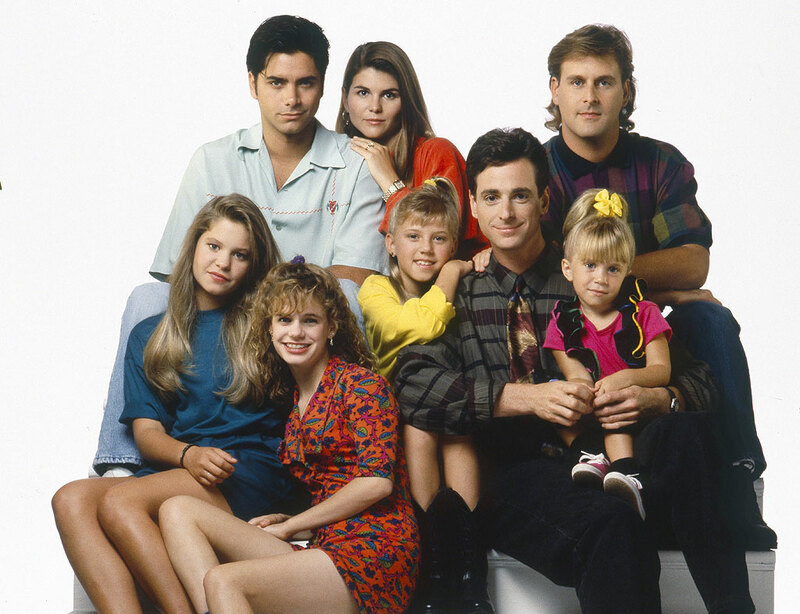 Today, I find myself looking forward to the Netflix release of Fuller House, half because I hope it’ll have as much unintentional comedy as its predecessor, and half because I’m sincerely looking forward to the nostalgia of predictability, the milkman, the paperboy, and evening TV.